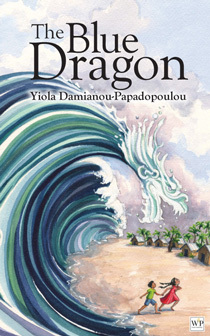 The Blue Dragon describes the terror of the catastrophic tsunami that hit Sri Lanka in December 2004. The novel focuses on a group of children—Hanseni, and her siblings Awade and Manori, and their friend Nishian—their individual experiences, and how they managed to pull through this horrendous event. Overcoming their fears the children struggle against the forces of nature, fighting against the odds to save themselves and their friends. Their stories portray courage and hope, and demonstrate the inner strength and determination that exists in the human spirit when faced with an unforgiving natural disaster. This emotive and heartfelt story shows how even, in the most terrifying of circumstances, the will to live triumphs. “I’ll go there too someday,” Hanseni murmured to herself, as she played with the pure white pebbles at the sea’s edge. She always picked this spot to play as she could look across to the other side. The house with the red windows high up on the hill occupied her thoughts. Schools in Sri Lanka were closed for the Christmas holidays, but the tutorial center never closed. The house on the hill was a school for foreign languages. Earlier that day she had seen the children making their way uphill. If only she could go too. In her mind, foreign languages were a passport: she could fly away, travel, see the world… Her eyes plunged into the azure sea and set sail for unknown lands. Yiola Damianou-Papadopoulou was born in Nicosia and spent her childhood in the Congo and Nigeria. She studied Journalism in Athens and has worked with a number of radio stations, magazines and newspapers in Cyprus. She has published short stories for adults as well as novels. She has also written children’s and young adult fiction. Yiola will be awarding a $10 Amazon or B/N GC to a randomly drawn winner via rafflecopter during the tour.